"General Discussion? I don't get it what is this chapter for professor?" "Ha ha.. well Phineas this is a place for the old gods to talk about our world! sometimes they even attempt to predict the future of our own realm." "Professor have you been messing with that arcane magic again? 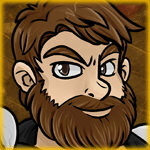 This is a place for fans of URealms Live to talk about the show or URealms in general. If your thread is more so about the URealms game itself it may have a more fit home in one of "The Game" sub-forums, however as long as it's URealms related it may be posted here (a moderator may end up moving the thread at a later date however). Please also take note that General Discussion covers all of the URealms Live universe and so if you are trying to avoid recent spoilers you should avoid this subforum.